About the Foundations of Mathematics « CONSTABLE RESEARCH B.V. In the beginning of the 20th century the mathematicians Bertrand Russell and Alfred North Whitehead wanted to define the eternal foundation of Mathematics. To build a foundation Mathematicians always start with defining what they “mean”. They use a symbolic language called Logic to do this. In Logic “=” means “Being the Same“. If we would use the mathematical “=” in human languages we would say things like “a House is a House“. These statements are without any meaning. We believe them but they are not adding something to our knowledge of the world we live in. “=” is called a Tautology in Logic. It is the only statement that is always true. Mathematics is about changing the left hand and the right hand of the tautology without changing the truth. Mathematicians are always proving that the left and the right in what they mean are the same (=). To speed up the process of proving, Mathematicians define new symbols that are “based on” other symbols. They use the foundation of “lower” symbols to define higher symbols. This process of mapping is called Abstraction (going UP). A Number is abstracted into the symbol A, called a variable. Human languages are different from Logic. Depending on the language, the context and the person, terms have a different meaning. Mathematicians don’t like that. The term Foundation is a Latin term (fundus). In the English language “Foundation” means “stable layer“. In the Dutch language “Foundation” is translated into the term “grond-slag“. “grond-slag” means “hitting” (slag) a pole (paal) into the Earth to build a house on. A foundation is something that is connecting a foundation (Poles) to another foundation (Earth). In human language the right and the left are equal AND not equal. They have something “in common“. When we talk about a foundation most of us See a House. When we communicate we share this picture unconsciously. If we have not lived in a context where houses are build we are not able to share meaning. When a Dutch person “wants to fund” he has “to hit the pole“. In other places “Laying a Foundation” is a much more gentle process. Human languages differ from Logic in many ways. The left and the right have something in common but are also different. The symbols (words) in human languages are connected to real pictures. A very important difference is the principle of truth. In mathematics we want to be certain. Mathematical truth is binary, Yes or NO. In human languages we have to believe and believing is an Emotion. Believing is Seeing and Feeling. We have abstracted a thing that is Seeing and Feeling. It I situated in our body. We call it Mind. Mind is a Latin word (“mental“) and it means Spirit and Soul. Spirit is connected to the Imagination and Soul is connected to the Emotions. We Feel with our Soul and we See with our Spirit (Inspiration, Inspire). Our Soul moves to something it likes and it moves away from something it dis-likes. Our Spirit takes us away. Suddenly we get a Flash of In-Sight and we Have to Move. Soul is gentle. Spirit hits us, like we hit a pole. 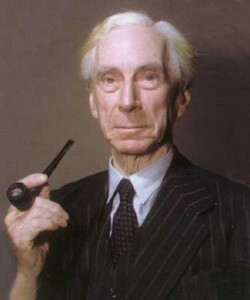 Russell used a “Thing called a Set” to create the eternal basis of Mathematics. He defined many operations on the Set. In the end he believed he had succeeded. Suddenly a nasty problem arose. The set of all sets created a paradox (The Russell Paradox). It contained itself and it did not contain itself. To solve this paradox he defined a new rule (an axiom) that a set had to contain itself. Later others proved that this was not helping him at all. The foundation of Russell proved to be completely unstable. The reason he failed was related to the boundary of the set. The boundary is not nothing. It can be open or closed to its environment (other sets). An open boundary looks-like your skin. A closed boundary looks-like an armor. Somewhere the set of sets (of sets of ..) had to close itself but the Set of the Whole could not be found. 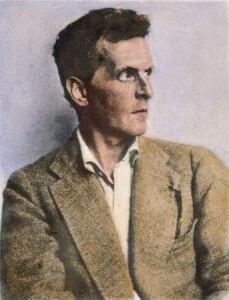 One of the companions of Russell, Ludwig Wittgenstein, totally changed its views about mathematics. He did not believe in logic and a foundation any more. He showed that we are playing games with language. Language is context-dependent. It’s meaning changes all the time. He also showed that many sciences are simply impossible because they belong to the domain of the emotions. Examples are Ethics and Esthetics. Formalizing emotions is impossible. We all know what is right and wrong and beauty is a personal experiences. Nobody is able to tell you what you have-to-like. Later the Dutch Mathematician Brouwer proved that everything we cannot imagine always leads to a paradox. Later Gödel created a new problem. Gödel proved that an abstraction (a higher layer) is unable to explain every part of a lower layer. If we go UP we always loose meaning. The Set of Sets of … cannot contain all sets. Later Lakoff and Nunez proved that the language of Mathematics acts in the same way as human languages. Mathematical Truth is not only connected to Seeing (Brouwer) but also to Feeling. The emotion of believing is necessary to believe mathematics. Lakoff showed also that in human languages the process of abstraction has an end. It ends when we are unable to imagine what we are talking about (see Brouwer). When we use highly abstract words like “relation” or “furniture” we reason with a part of the set (a prototype) we are using. We use a chair or a table when we use “furniture“. Abstraction without visibility again creates confusion (a paradox). Now I want to apply the flashes of insight of all the people to show you something about the abstraction called Mind. (1) Russell: If you think your Mind is a closed environment you’re wrong. You are using the concept of the Set. Your mind is open to other Minds. (2) Brouwer: If you cannot imagine a Mind it does not exist. Many people see the Brain when they imagine the Mind. The Brain is controlling everything in our body. If we use (1) we have to find a way of explaining how the mind is communicating with other minds. Scientists found the solution. The mind is producing words (speaking). (3) Wittgenstein showed that speaking is not a reliable tool of communication. Behind words we are exchanging pictures and emotions. Wittgenstein showed that it is impossible to reason about emotions. We cannot reason about the emotional part of the Mind (Soul). (4) Gödel: Your mind is an abstraction and therefore Your mind is unable to explain everything You Are. (5) Lakoff: Mind is an abstraction without an image. When you reason about your mind you use a visual (!) sub-set of the Mind. The visual subset we use is “Actor”. Your Cold Analytical Mind (An Actor) controls Your Warm Body. You are a Walking Thinking Mind that is desperatly trying to manage the Instable Fluctuating Emotions (now called Desire) and the Imagination (now called Fantasy). We are back to You again. The best thing to do is to skip the whole concept of Mind and start to look for something else. George Lakoff has a theory that is able to give you some insight. When we are born we come out of a Body and we become a new Body. The Body has to learn to crawl. Crawling gives us the feeling that we were moving-away (Mother) and moving to-something (Mother?). Crawling is an emotion. Our most difficult learning process is to learn to stand-”up” and to “keep balance“. In all cultures “Up” is more important than “Down“. Management is always on the upper floor and God is Up in the heavens and the Devil is Down in hell. The feeling of “Up” is basically a bias. We are so dominated by our difficult childhood learning process that we Evaluate many things with our “Up-feeling“. Thinking with the “Up” is getting you Down. It kills self-confidence. We believe that we think Up with our head (Brain) and the Brain (Mind) is the manager. Let’s get back to what You are. You are your Body and your Body is open to its environment. Lakoff found that the sentences we speak contain metaphors. Many metaphors are connected to the body. We use our organs to define the types of truth. We feel with our heart (com-passion). We feel with our bellies (In-tuition, inner teaching). We also feel with our stomach. Our stomach tells us that we want to express something. Funny enough these places in the Body (the Chakra’s) are independent of Culture. The reason is that every human shares the same body. When you believe something you will feel this with your heart. You will feel excitement. The rythm of your heartbeat will change. When somebody is explaining something and you don’t see the picture with your inner eye (your imagination) don’t believe him. Ask somebody to draw what he is trying to explain. If your stomach protests ask a question. If you want to do something with what you believe you will feel it in your solar plexus (Navel). Don’t hesitate Act. Now I want to come back to the foundation Russell was looking for. When you use your body the basic level to reason with is Earth. What we See on Earth is what is and what is does not need an explanation. Trees grow without any theory. The clouds move without any theory. If you want to develop a theory start to look with attention (Focus). Be aware and watch what is happening on Earth. What is happening on Earth is always Cyclic. The Earth moves around the Sun. The Moon moves around the Earth. The Planets move around the Sun. Seeds turn into flowers and produces seeds again. When we try to predict these movements we find patterns. These patterns are stages in a cyclic process of enfolding. The patterns are waves and waves are strongly related to Music (Pythagoras). The patterns in Music create overtones. They interfere. Short term Cycles are part of long term cycles. You’re body is a Standing Wave and it resonates with other Standing Waves with the same wavelength. Out of the analyses of these patterns mathematics was created. Mathematics is about Music and Beauty. A mathematical theory has to be beautiful. If it is not beautiful it is not correct. This is simple. You have to feel enlightened when you understand mathematics. If you don’t get this feeling your teacher does not understand what he is explaining. The problem of the Set of Sets can now be solved easily. The Whole is part of itself. The Whole is One but also Two. It is OBSERVING itself. It is conscious. Perhaps now you understand why the Ears are the place in the Body that controls your Balance. Close your Eyes and Listen to the Rhythms in your Body and Nature. Erase your non-existing Mind. Get back to the level of You, Your Body. Observe your Self. Become conscious. Feel the warmth of your skin. Let the images come and observe them without touching them. Feel your gentle Soul move in and out when you breathe. Concentrate on your Belly (the level of In-tuition). Suddenly you get an Insight. Spirit has hit you. You feel full of Joy about the beauty of the Whole. You found the foundation Russell was looking for. Its You. This entry was posted on Friday, August 3rd, 2007 at 1:53 pm	and is filed under Completed, Not Started. You can follow any responses to this entry through the RSS 2.0 feed. You can leave a response, or trackback from your own site.